Lamb | Om nom nom! My friend Missy posted this on her site quite a while ago, and I’ve had it bookmarked to try for quite some time. I was looking for something a bit different to round out the week, and this popped up! 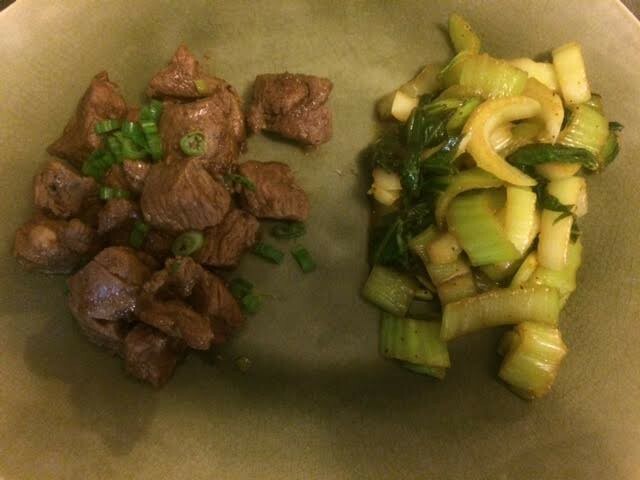 Though it would be delicious over rice, we just had it alone with some bok choy on the side, as I am trying to stay lower carb. This was awesome – glad we finally tried it! Even better leftover for lunch today. 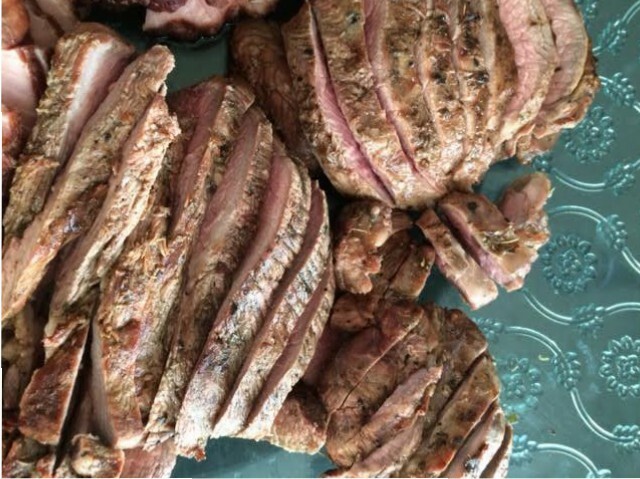 You can check out the recipe on Missy’s site – I made no changes, other we than had probably closer to 1.5-2lb of lamb from a large boneless roast, so I adjusted everything else to match. First week back after vacation is always sort of a shock to the system…especially after a vacation as awesome as that one! We highly recommend Riviera Maya, Mexico, that’s for sure. But it was nice to get back to some home cooking (though I won’t lie, I already miss the copious amounts of Mexican food and Corona ;)). 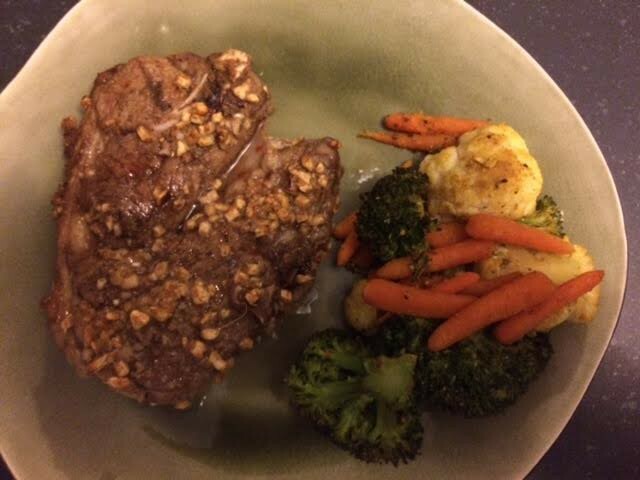 This was a great back to reality weeknight dinner – took all of 45 minutes to cook and you could do this with any bony cut of lamb. We used a lamb shoulder roast that had been sliced into thick chops. Just a tossed bunch of roasted veggies (also generically Indian spiced) as a side, and it made for a great, low carb dinner. Lamb chops are not something we have all that often, though we both love them. This was a great, quick dinner from Serious Eats – perfect for a weeknight (we were in a hurry to get to our Halloween party! ), came out really well with very little effort. 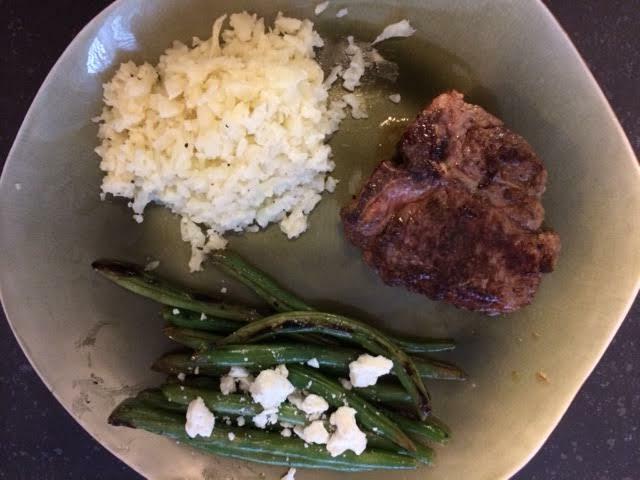 We had them with lemon feta green beans and mashed cauliflower. 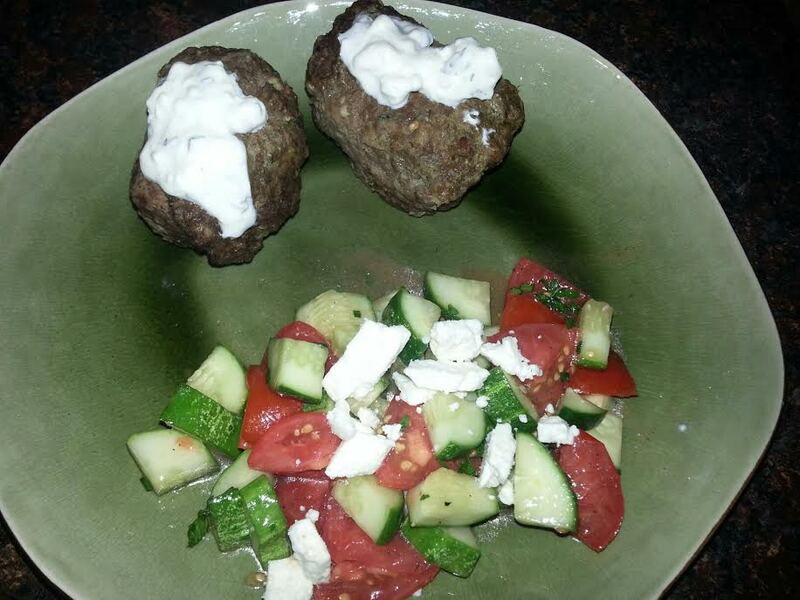 I saw this recipe in an old Cooking Light, and thought it was worth a try…definitely glad we did. We’ll be making it again, and actually it would be worth doing in bulk – great for lunches. The recipe called for more beef than lamb, and I ended up doing equal parts (with very lean beef). Next time I actually think I would do all lamb. We made these in mini loaf tins with a cucumber-tomato salad from our garden. 🙂 The sauce actually made it! This is our second time making this Cooking Light recipe, and we were just as pleased as the first go…though I wish I had remembered to write it down then, because I felt like there was too much lemon BOTH times. We marinated this for about 4 hours (rather than 15 minutes in the original), and grilled them outdoors. Next time I might add a bit more garlic and about half the lemon. We served this with orzo salad and minted zucchini ribbons. This comes from my Madhur Jaffrey Indian cookbook, which is one of my favorites, and I’m not sure why I haven’t gotten around to posting it before. It’s easy, if time consuming, and really excellent. I’ve yet to try one of Madhur’s recipes that I don’t love, but this is a particular favorite of ours. It can also be done with beef, but I do think it would lose something without the lamb. 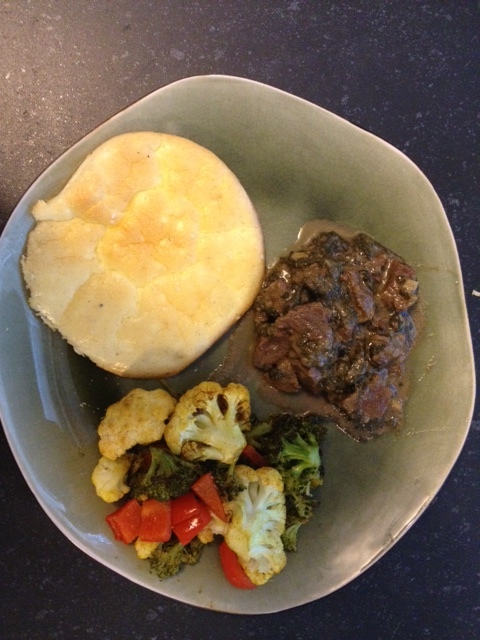 I served it with roasted curry cauliflower and broccoli and a flatbread.